Microtransactions are no longer the only way for games to make money on Facebook. Facebook just announced another potential source of revenue for game developers. Rather than relying solely on the free-to-play business model, developers can now charge a monthly, recurring subscription for access to their games. Previously, subscription models were only available to developers who worked directly with the social network. Facebook will be taking its traditional 30% share of the revenue generated by the subscriptions. This will be the first time the subscription model will be available to all developers. 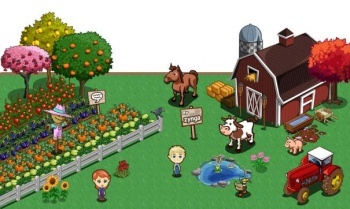 The subscriptions, which are currently being tested in Kixeye's Backyard Monsters as well as a few titles from Zynga, will be charged in the user's local currency, and Facebook intends to add support for local currencies for in-app purchases within the next couple of months. While free-to-play games still dominate the social gaming market, and are growing in popularity outside of it, many, more active gamers prefer the traditional subscription model. It's still the go-to revenue model for MMOs, a genre that, despite the inherently social nature of the platform, hasn't really flourished on Facebook. Subscriptions won't just change how people pay for their games, but what kind of games appear on the network. A common criticism of games that rely on microtransactions is that their design focuses on roping players into making a purchase rather than providing a satisfying experience. Subscription models work the other way around, encouraging the player to keep paying, lest they lose their progress.